ONCHAN, Isle of Man – March 23, 2018 – PokerStars is calling out to action lovers with a second take on the $10 million guaranteed Sunday Million 12th anniversary. ‘Take 2’ is looking to better the 43,975 entries that bought in last month, which resulted in PokerStars handing players a record $1.2 million overlay, and guaranteeing another $10 million on April 22 at 14:00 ET. The $215 buy-in tournament will again guarantee a $1 million payout for first place and will also award one Platinum Pass worth $30,000 to the PokerStars Players No Limit Hold’em Championship. One table will be chosen at random during late registration with those nine players entered into a freeroll. The winner of which will collect a Platinum Pass and join hundreds of other players at what is expected to be the largest $25,000 poker tournament in history this coming January. The pass includes a $25,000 buy-in, accommodation at the Atlantis Resort in the Bahamas, and $2,000 in cash towards travel costs. 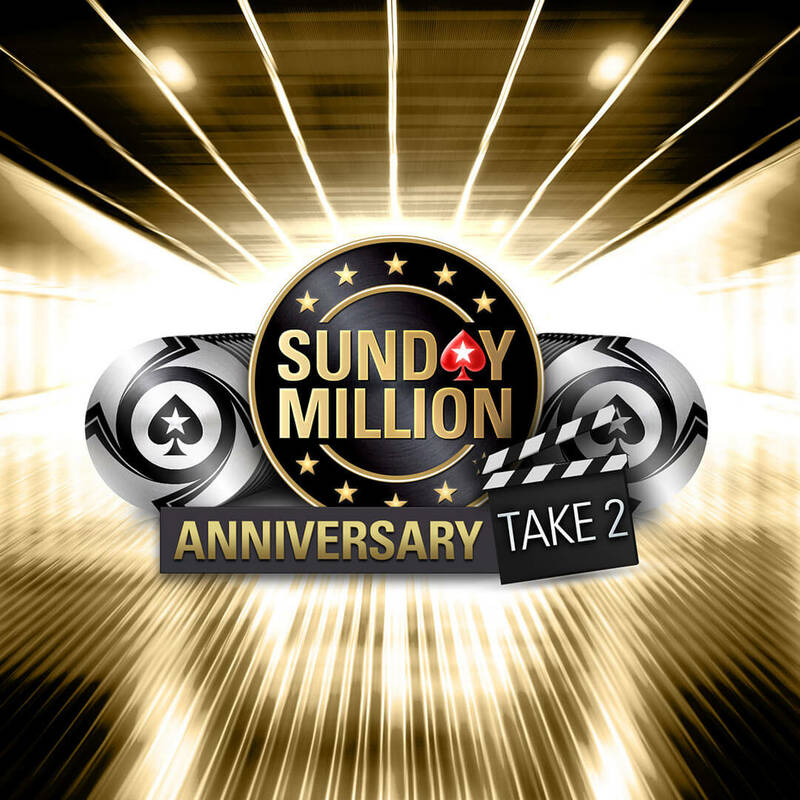 As well as the enormous prize pool and bumper first-place prize, players can also turn $5 into $1 million in minutes via limited edition Spin & Go’s offering big money prizes and seats to the Sunday Million 12th Anniversary Edition, Take 2. From today, players can qualify for the anniversary tournament via $15 and $22 satellites, with further satellites buy-in options available from Monday. ‘Hulk9950’, a small-stakes player from Brazil, won the Sunday Million 12th Anniversary taking home a life-changing $960,000 for his victory over a field of 34,274. The first ever Sunday Million took place on March 6, 2006 and featured 5,893 players for a total prize pool of $1,178,600. It was won by ‘aaaaaaaa’ from Canada for $173,843.50. Twelve years later, we’re celebrating that twice with $10 million prize pools. For more information please visit the PokerStars blog.